General Admission (GA), VIP and Superfecta weekend passes will be available to the public beginning at 10 a.m. on Thursday, March 28 via RailbirdFest.com. Layaway plans will be offered for all ticket levels, with first payments starting at less than $40 plus fees for GA.
Those wishing to experience Railbird in style can purchase a VIP weekend pass to access all GA amenities, as well as exclusive Limestone and Elkhorn Stage lounges with air-conditioning, private bars with exclusive VIP pricing, and plenty of shade. VIPs can also access a portion of the Grandstand padded seating at the Limestone Stage. They will receive access luxury restrooms, fast-track entrances to the festival, free on-site parking for the weekend and commemorative Railbird merchandise. VIP ticketholders will be invited to attend an opening reception at The Rickhouse on the Friday evening before Railbird begins, as well as exclusive happy hour receptions on Saturday and Sunday during the festival. During the happy hour events, VIP guests will enjoy cocktails and passed appetizers from Keeneland’s Executive Chef Marc Therrien. VIPs will also have exclusive access to add on an intimate Friday night dinner curated by Chef Therrien in the Keeneland Saddling Paddock. For the ultimate Railbird experience, a very limited number of Superfecta weekend passes will be available including all of the amenities and perks of GA, VIP and more. These fans will have access to the Limestone Stage’s private pit viewing area and bar. They will also have access to the air-conditioned Skydeck bar and lounge atop the padded Grandstand seating at the Limestone Stage, with elevated viewing and complimentary beer, wine and non-alcoholic beverages. At the Elkhorn Stage, Superfecta guests will have access to even more elevated viewing and up-scale seating atop a Clubhouse bar and lounge. Superfecta guests will enjoy valet parking and a Railbird commemorative merchandise package. These ticketholders will also be invited to watch morning workouts at Keeneland and enjoy a tour of the beautiful grounds during the festival weekend. At the Friday evening opening reception, Superfecta guests will enjoy free Bourbon tastings from all Railbird partner distilleries, a full dinner package in Saddling Paddock curated by Chef Therrien and more. They will also receive a complimentary brunch with breakfast cocktail bar included on one day of the festival, their choice of Saturday or Sunday. Ticket holders of all levels will receive a high-security wristband with a uniquely coded RFID (Radio Frequency Identification) chip embedded inside. Every wristband will be scanned as you enter and exit the festival site, as well as at certain locations within the festival site. Wristbands can be used for cashless purchases within the festival grounds, for food, beverages, merchandise and more. In addition to world-class musical acts across three stages, Railbird will offer a wide variety of premium experiences, from horse racing, to the culinary world, and beyond. Renowned chefs including James Beard nominee Ouita Michael (Holly Hill Inn & more), Top Chef season 16 runner up Sara Bradley (freight house), Master Chef alumnus Dan Wu (Atomic Ramen), Cole Arimes (Cole 735 Main), Toa Green (Crank and Boom) and others come together to create up-close-and-personal culinary experiences during the festival weekend. Details on these intimate engagements will be available soon. Separate, ticketed, adventures available Thursday at 10 a.m. EST will include a luxurious morning brunch from Chef Therrien trackside on the Clubhouse Lawn while fans enjoy morning thoroughbred workouts followed by a tour of Keeneland’s grounds. Chef Therrien will also curate a Friday night opening celebration held in the Saddling Paddock at Keeneland featuring a full dinner menu, bourbon tastings from The Rickhouse, craft cocktails for purchase and more. 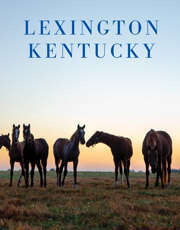 Additional equine excursions include visits to neighboring horse farms WinStar Farm and Godolphin. Convenient transportation to and from the Keeneland grounds is included in the package. Details, including menus for the Friday night dinner and Saturday and Sunday brunches, along with tour times and all ticket prices can be found at RailbirdFest.com. All festival-goers will enjoy wagering, lounging and a taste of horse culture at the Lucky Day Plaza. Fans can get in on the action and wager on off-track betting, with coast-to-coast simulcast from Del Mar to Saratoga on the festival grounds. Keeneland’s own BETologists will be on-site with tips for winning big. All of this will be available inside a comfortable, air-conditioned lounge. Railbird just wouldn’t be a Kentucky festival without Bourbon. The Rickhouse will be home to a highly-curated Bourbon experience, with hand-selected barrels from Kentucky’s finest distilleries and immersive whiskey experiences. Bourbon Barrel selections will be chosen in collaboration with Academy Award Nominee and Lexington-based filmmaker, AJ Hochhalter, well-known for producing the 2018 documentary NEAT: The Story of Bourbon. To celebrate its inaugural lineup announcement, Railbird Festival will host a lineup celebration party at West Sixth Brewing on Wednesday, March 27 from 7 p.m. to 9 p.m. Attendees will have the chance to win free tickets, and will enjoy a performance by members of The Wooks, drink specials, Railbird and West Sixth swag, opportunities to mingle with music-lovers and other surprises, all while listening to tunes from the lineup. West Sixth will be brewing up a special Railbird beer to serve exclusively at the festival in August. For the latest updates on Railbird Festival, fans can visit RailbirdFest.com, Facebook, Twitter, Instagram, and sign up for the Railbird newsletter. AC Entertainment is producing Railbird in partnership with Lexington entrepreneur David Helmers. AC Entertainment is internationally recognized as an innovative leader in creating, producing, booking and marketing first-class live entertainment experiences – from festivals and concerts to all types of special events. As producers of the Bonnaroo Music and Arts Festival, Forecastle Festival, High Water Festival, Moon River Music Festival, and Big Ears Festival, and through the 1,000+ concerts presented nationally each year, AC takes special pride in those unforgettable, spine-tingling moments that everyone remembers long after the lights have come up. For more information on AC Entertainment, visit ACEntertainment.com. For more than 80 years, the Keeneland Association has devoted itself to the health and vibrancy of the Thoroughbred industry. The world’s largest Thoroughbred auction house, Keeneland conducts four sales a year, in January, April, September and November, and its sales graduates dominate racing across the globe at every level. In April and October, Keeneland offers some of the highest caliber and richest Thoroughbred racing in the world. Keeneland hosted the Breeders’ Cup World Championships in 2015 and will hold the event again in 2020. Uniquely structured, Keeneland is a private, for-profit corporation that returns its earnings to the industry and the community in the form of higher purses and millions of dollars donated in support of horse industry initiatives and charitable contributions for education, research and health and human services throughout Central Kentucky. To learn more, visit Keeneland.com.